as well as Thermophysical properties of: Acetone, Acetylene, Ammonia, Argon, Benzene, Butane, Carbon dioxide, Carbon monoxide, Ethane, Ethanol, Ethylene, Helium, Hydrogen, Hydrogen sulfide, Methane, Methanol, Nitrogen, Oxygen, Pentane, Propane, Toluene, Water and Heavy water, D2O. Air is a mixture of gases at standard conditions. However, at low temperature and high pressures the gas mixture becomes a liquid. 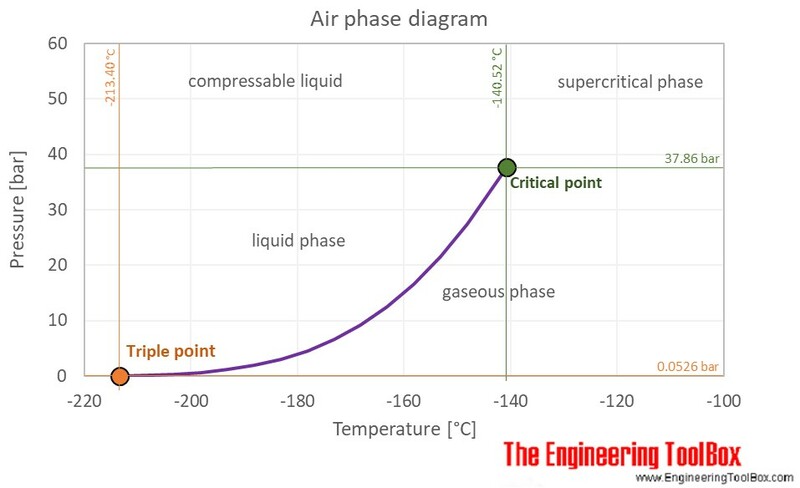 The phase diagram for air shows the phase behavior with changes in temperature and pressure. The curve between the triple point and the critical point shows the air boiling point with changes in pressure. Universal and Individual Gas Constants - The Universal and Individual Gas Constants in fluid mechanics and thermodynamics. Individual gas constant is given for the most common gases. Engineering ToolBox, (2003). Air - Thermophysical Properties. 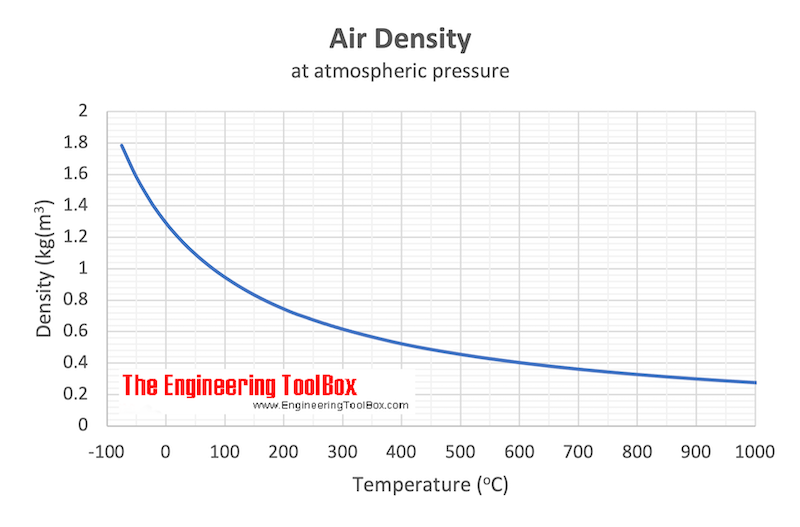 [online] Available at: https://www.engineeringtoolbox.com/air-properties-d_156.html [Accessed Day Mo. Year].